Scotsman, Manitowoc and Hoshizaki ice machines. Sanyo split systems, Tyler walk-ins, Reznor, Carrier Heating, Cooling and Geothermal systems, Copeland refrigeration equipment, Liebert computer room cooling and Honeywell controls to name a few. 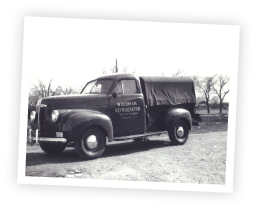 Woodman Refrigeration has been synonymous with quality for over 100 years. We are proud to be called to work at hospitals, schools, universities, malls, law offices, grocery stores, medical offices, professional buildings and homes in the area. We are committed to creating and maintaining whole building & home comfort systems. The air quality issues in our lives today have become a #1 concern and we at Woodman Refrigeration are trained and experienced in humidification, dehumidification, air quality and fresh air ventilation.